Spicy Yuba Noodles — Always Plant-Based. Always Delicious. Hodo. When you’re craving something radically delicious, umami-packed and “OMG!” try these: our hand-cut yuba strips tossed in a spicy handmade teriyaki sauce. “What the heck is yuba?” you might ask. It’s the nutrient-dense layer of cream we lift off heated soy milk and turn into a nutty, protein-packed dream of a “noodle.” Seriously, they’re life-changing. 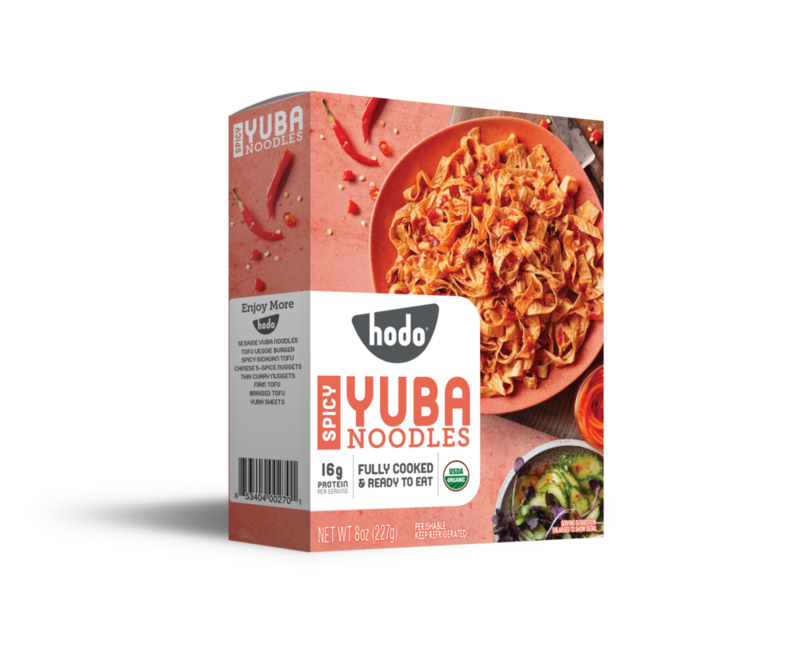 Hodo Organic Yuba* (Water, Organic Soybeans), Soybean Oil*, Water, Rice Vinegar* (Water, Rice*), Gluten-Free Tamari* (Water, Soybeans*, Salt, Alcohol*), Sugar*, Sesame Oil*, Chilies*, Cornstarch*, Brown Sugar*, Cayenne*, Garlic*, Ginger*, Orange Peel*, Licorice*.